If you're looking for a band that knows how to party, you've come to the right place. However a word of caution, this is THE BIG PARTY BAND, they don't do shy and retiring, they don't do quiet and laid back, they just do PARTY! This five piece band hails from Leeds and is amongst the most in demand bands in the region. 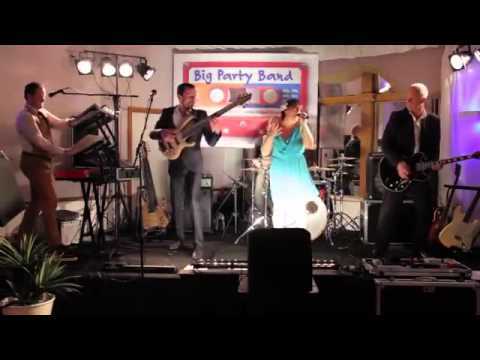 You name it, they've played at it, from weddings, private functions, posh corporate events and everything else in between, you can rely on The Big Party Band to fill the dance floor with a crowd pleasing set of party classics and current chart hits. The band comes complete with a cyrstal clear sound system and as they are represented by Hireaband, the UK's favourite entertainment agency, you know you'll pay no more than their direct price to hire them, with all the backup and peace of mind you only get with Hireaband. Contact us by phone or hit Enquire Now today and find out how to have a BIG party! Sorry, The Big Party Band doesn't have any photos right now Send us an enquiry and we'll get back to you, or check out the rest of the act profile.